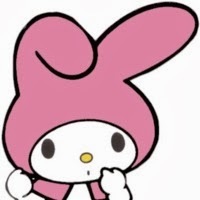 Next battle round is the feud between two of Sanrio's most famous characters: My Melody and Hello Kitty. *halts in mid-sentence* No good? What-- that's not enough to spark your fighting spirit? 3. Do you have any famous relatives? Kuromi, my devil cousin Twin sister, Mimmy! 7. What kind of reactions do you get on the streets? Who are you? 10. Favorite Fashion color? For this era-- Pink. 13. What's the word on your success? I'm moving up the ranks: animes, comics, games... I'm everywhere. 15. Where do you see yourselves in 10 yrs. from now? Didn't you hear? 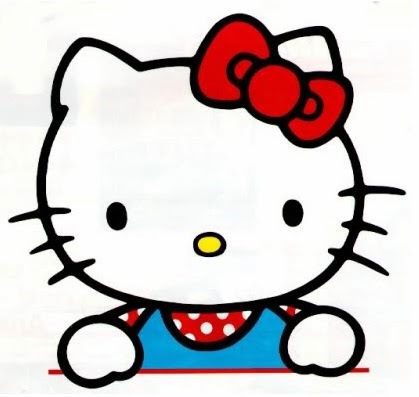 Hello Kitty was supposed to retire & I was supposed to be Queen of Sanrio *resentful* *rolling her eyes at the dramatics* You wish (@ My Melody). Getting married and still be the hottest cat around! You can stop shielding your eyes now. I've stopped doing the bunny hop of excitement. If you enjoyed that battle round, please take it to the comments section below. *Whispering* We all know Hello Kitty is the winner of this round.